Last month, we reported that actress Tracey Birdsall had filed a criminal complaint against Seal, accusing him of trying to force himself on her when they were neighbors in Los Angeles in 2016. The Los Angeles County Sheriff’s Department confirmed that it was investigating the allegation, and Birdsall said in a statement that she came forward after she saw Seal in the news encouraging women to come forward with stories of sexual harassment. 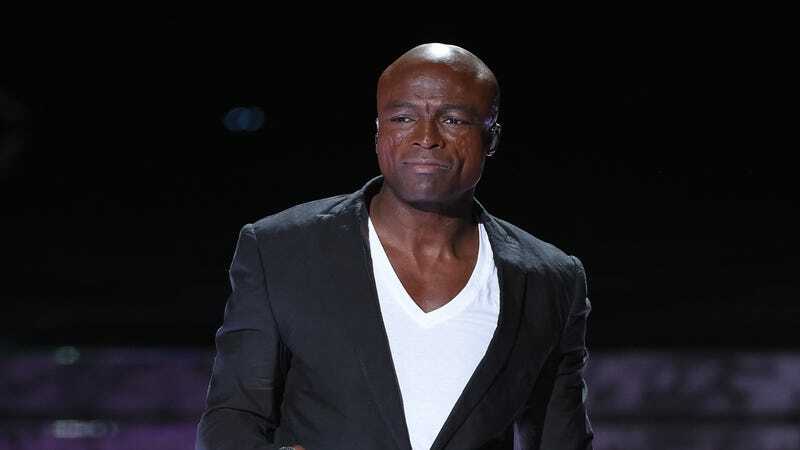 Seal, meanwhile, issued his own statement saying that he “vehemently denies” the accusation. Now, according to TMZ, the L.A. County District Attorney has rejected the case against Seal “citing lack of witnesses or evidence.” Apparently, other neighbors who lived by Seal and Birdsall at the time confirmed that the two had been friends, but apparently nobody knew anything about Birdsall’s allegations. On top of that, TMZ says the statute of limitations has already run out, preventing the district attorney from being able to do anything anyway. Katie Couric says sexual misconduct allegations against Matt Lauer were "very upsetting"